There are many and varied benefits of green smoothies: they are easy to digest, increase your energy, keep you hydrated, make your skin shine and more. They can include spinach, kale, lettuce, and collard greens. 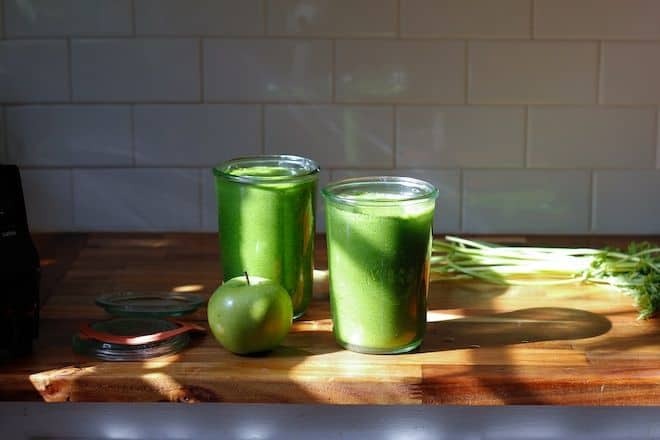 For the more advanced green smoothie drinker, you can also include parsley, watercress, dandelion greens – really, all green veggie that your palate can grasp and enjoy. Bananas, avocado, apples, pears and mango are good companions in these drinks. Here is a quick introduction to the many benefits of consuming green smoothies on a daily basis. 1. Green smoothies provide pure nutrition. The amount of vitamins you get will depend on the fruits and vegetables you pick for the smoothie. However, most fruits and vegetables are rich in vitamins A and C. Guava is also rich in folate, while avocados produce high amounts of magnesium and potassium. 2. 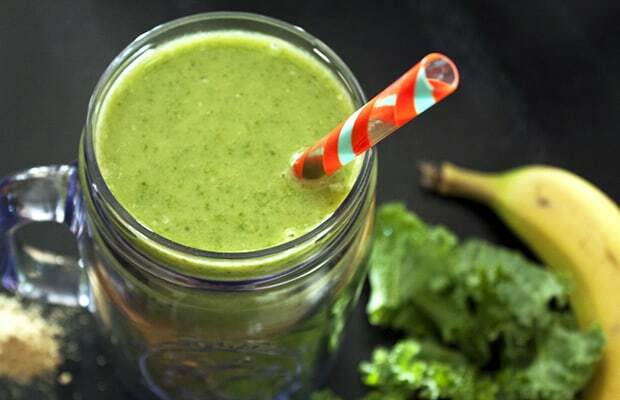 Green smoothies are a great way to easily eat your vegetables. Although most people love fruits, many are struggling to get their daily vegetable needs. When you make a green smoothie, the greens taste is hidden by the taste of the fruit, so you don't even know that the vegetables are there. 3. 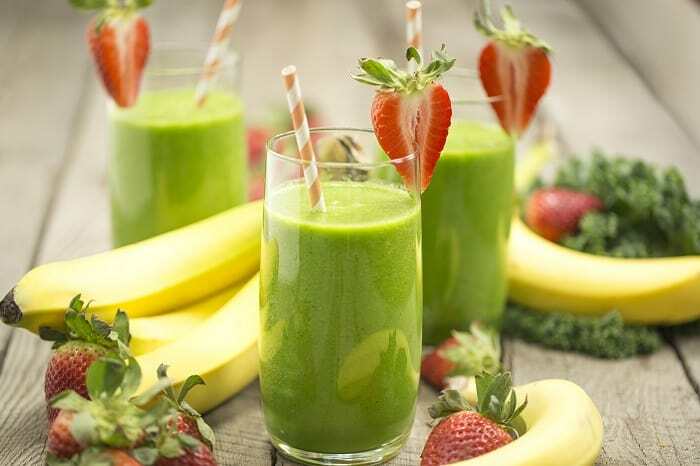 Green smoothies are much healthier than vegetable or fruit juices. When juices are extracted, vitamins and minerals are obtained, but not fiber. However, smoothies are made with whole fruit/vegetable, so you acquire all the fiber in your drink. 4. 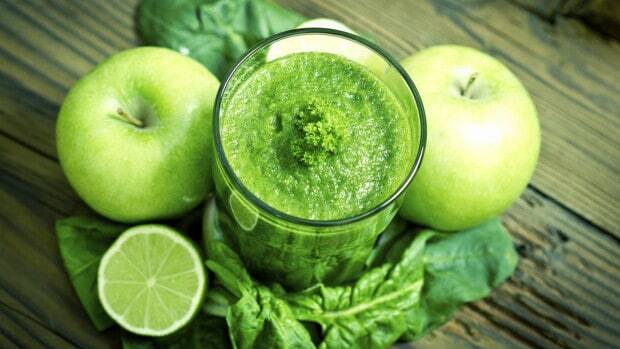 Green smoothies are low in calories but very substantial. Because they contain large amounts of fiber and water, they will make you feel like you are just eating a full meal. If you are trying to lose pounds, green smoothies will help combat your hunger and cravings while helping the fats melt more easily. 5. Green smoothies are simple and fast to prepare. You only need a blender equipment. 6. Green smoothies can be a good way to make kids eat their vegetables. You may have to begin with a higher proportion of fruits compared to vegetables until you get used to the taste. 7. Homemade green smoothies are inexpensive. Buying smoothies at a juice bar can cost a few bucks. At home, the combination of fruits and vegetables will not cost you more than a penny. Drinking a glass every day will give you with all the vitamins you need, a much less expensive option (and more natural) than purchasing multivitamins. 8. Green smoothies are easy to digest. Because they are already mixed and liquefied, smoothies are faster to digest. After all, your body no longer needs to work so hard to “break down” food in order to extract nutrients. People who undergo from indigestion after eating a heavy meal will also benefit because the smoothies are substantial but light. 9. Green smoothies will give you with a sustainable energy source. Fruits are a good energy source, but eaten alone will only give short bursts of energy. Due to its high content of vegetables, green smoothies have a balanced sugar content. 10. Green smoothies will keep you hydrated. Every one should drink at least eight glasses of water a day, experts are convinced that most people do not drink even half that amount. One reason for this is that a lot of people just don’t like the taste of ordinary water. If this describes you, simply add more water to the mix while preparing your smoothie. You will be drinking more fluids without even becoming aware of it.